Anna Leahy’s Constituents of Matter won the Wick Poetry Prize, and her poetry appears in literary journals and anthologies, most recently A Face to Meet the Faces, City of the Big Shoulders, and Becoming. 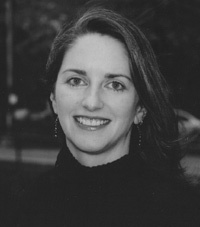 Anna Leahy co-writes the blog Lofty Ambitions (http://loftyambitions.wordpress.com), and her nonfiction appears in The Pinch, The Southern Review, and other venues. She edited the book Power and Identity in the Creative Writing Classroom and publishes articles about creative writing pedagogy and the profession. She teaches in the M.F.A. and B.F.A. programs at Chapman University, where she directs Tabula Poetica, including its annual reading series and the forthcoming literary journal TAB: The Journal of Poetry & Poetics.